Straight across the Highway from Reed’s Lumber. 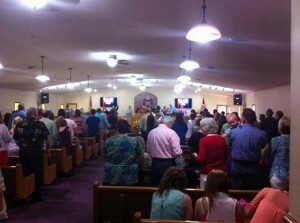 Welcome to the Chatsworth Church of God! We are excited you’re here! We are excited about where we have come from & where God is taking us; would you like to join us in this journey? If you are looking for a place to worship God & experience His love, acceptance & forgiveness, this is the place for you! Blessings!